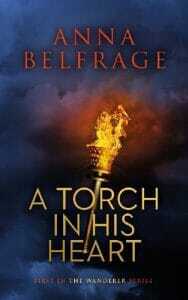 While Adam de Guirande and his wife Kit are fictional beings, the political events depicted in this novel are not. Roger Mortimer did rise in rebellion late in 1321, he was forced to a humiliating submission in January of 1322, and yes, he did escape from the Tower on the 1 of August 1323. He also had a squire called Richard de Monmouth, a man I have taken the liberty of giving quite the colourful (and entirely invented) family. To fully understand Mortimer’s motivations, one must take a step back and study the somewhat chaotic situation in England at the time. 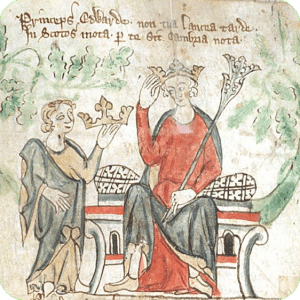 Edward II may have been a good man, but he was a catastrophe as a king, with a tendency to rely heavily on favourites rather than on his council – or his barons. At the time of Mortimer’s rebellion, the favourite in question was Hugh Despenser, married to the king’s niece and an avowed enemy of the Mortimer family. Why Despenser hated Mortimer and vice-versa, was rooted in history: at the Battle of Evesham Despenser’s grandfather had been fighting with Simon Montfort against the royal armies commanded by Prince Edward – the future Edward I. Roger Mortimer’s grandfather – also a Roger Mortimer – killed the then Lord Despenser on the battlefield. Despenser was a greedy man – for wealth, for power. In this, he did not differ much from Roger Mortimer, but in his position as the king’s favourite, Hugh could help himself to what he wanted, certain the king would always side with him. England’s barons grew increasingly unhappy. In the north, the king’s first cousin, Thomas of Lancaster, smouldered. In the southwest, the Marcher lords grew restless. By early 1321 the situation had become untenable. Mortimer and Lancaster formed an alliance, and over a couple of weeks they rode roughshod over Despenser land, finally coercing the king into exiling his favourite and his father, yet another Hugh Despenser. The king, needless to say, was not happy. In what was a most uncharacteristic bout of determined leadership, Edward turned the tables on his rebellious barons, and when Lancaster retreated to the safety of the north, Mortimer was left to face the king alone, the previously so vociferous barons melting away like snow on a sunny spring day. Mortimer had no reason to trust the king. The treatment of the garrison at Leeds Castle, coupled with how easily the king broke his given oaths did not inspire any admiration. But as 1321 came to an end, it was apparent Mortimer could not win, and so the Earl of Pembroke was dispatched to attempt to broker some sort of truce. Whether or not Aymer de Valence, Earl of Pembroke, did pledge his word to Mortimer, promising him that his life would be spared, is open to debate. Personally, I don’t believe Mortimer would have gone anywhere near Shrewsbury on that fateful January day unless he had some guarantees as to his own safety. Guarantees, as it turned out, that were totally worthless. And as to Mortimer and Queen Isabella – well, this will be the subject of the coming books in the series. Were they already a couple in 1321? I don’t think so. Were they attracted to each other? I’m not sure, but I have decided to say that they were – an attraction that was to blossom into one of the more remarkable love stories of their time. But that, as they say, is a story for another day – or rather for the next book in the series, Days of Sun and Glory. For those of you that want to know more – much more – about Sir Roger Mortimer, I warmly recommend The Greatest Traitor by Ian Mortimer, the book that to a very large extent has inspired my story.